Over 110 million people will watch this Sunday’s Super Bowl. A 30-second Super Bowl TV ad costs $4 million. A 60-second spot costs $8 million. Suppose a billionaire challenged you to write a 30-second or 60-second TV ad for libertarianism that gets 10,000 or 100,000 or 1,000,000 or more people to POSITIVELY RESPOND — to give us their names and contact information? What would you say during that TV ad? You can speak roughly 50 to 60 words in 30 seconds and 100 to 120 words in a minute. What would you ask — to get 10,000 or 100,000 or 1,000,000 or more people to respond? 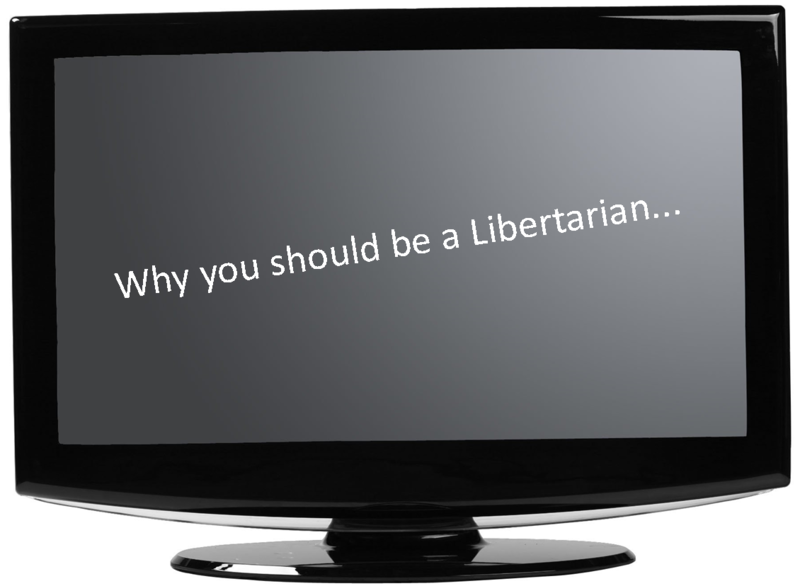 To get them to text, email, telephone, or write to learn more about libertarianism? How would you absolutely, positively guarantee that the billionaire would get his money’s worth for your Super Bowl TV ad? You may want to privately explore and experiment with this challenge. And try out different versions of it on family and friends. You will get better. More persuasive. And closer and closer to Super Bowl-level communication. Won’t Big Businesses Abuse Their Power in a Free Market?